Ladies and gentlemen, the circus is back in town! 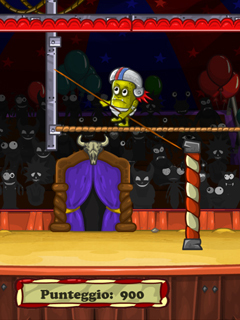 Circus 2 is a puzzle game that not only features fun, colorful graphics and a perfect, inspiring soundtrack, but also tricky puzzles that pick up exactly where Circus left off. 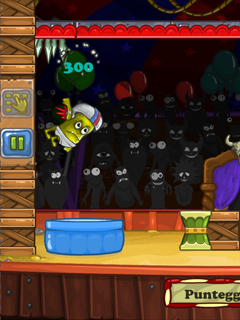 The goal of the game is to throw the cute alien acrobat into the provided kiddie pool at every level. There are various tools available along the way to help overcome obstacles and steadily generate momentum.In 25 brand new and challenging levels, you'll get good at dealing with unicycles, trampolines, balloons and even cannons before you send your alien through all the levels. You will eventually beat the levels when you manage to make the perfect splash in the pool. Play Circus 2 now for free for hours of fun, guaranteed!